Somerset County - Fairgrounds Bridge Replacement - This project included the phased replacement of a very deteriorated two-span concrete T-beam bridge carrying S.R. 2004 over Elk Lick Creek in Summit Township, Somerset County. The replacement structure is a single span (102.75’) prestressed concrete bulb tee bridge, detailed to include a minor flare in the deck to accommodate the entrance to the Somerset County Fairgrounds. The project also included 725’ of minor roadway realignment and reconstruction. 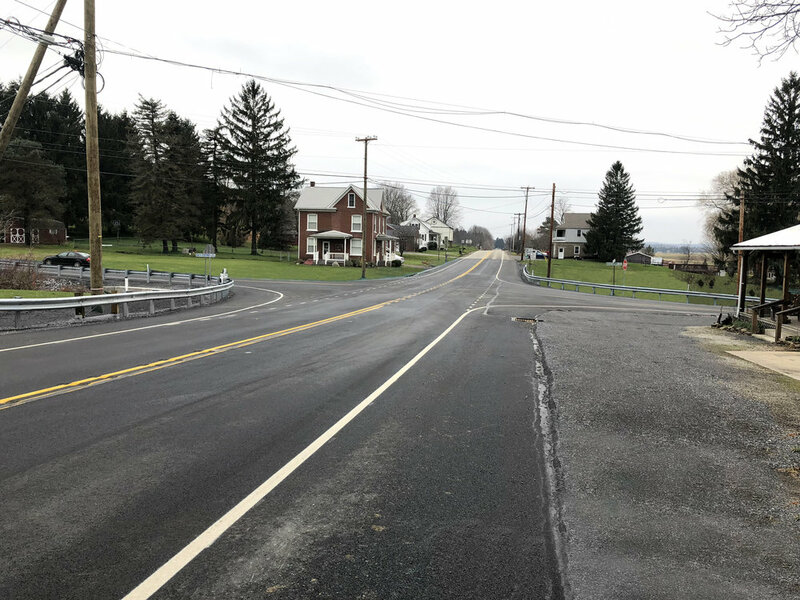 The construction phasing and associated CPM was developed to ensure the bridge was opened to two lanes of traffic for the annual fair which is scheduled for the second week of August. Two Culvert Replacements - This project included two precast concrete box culverts; 15'-0" x 10'-0" and 20'-0" x 12'-0" for S.R. 0160 over a Tributary to Boone Run and T.R. 542 over Boone Run respectively. The project also included roadway reconstruction lengths of 1,007' and 1,123' for S.R. 0160 and T.R. 542 respectively.